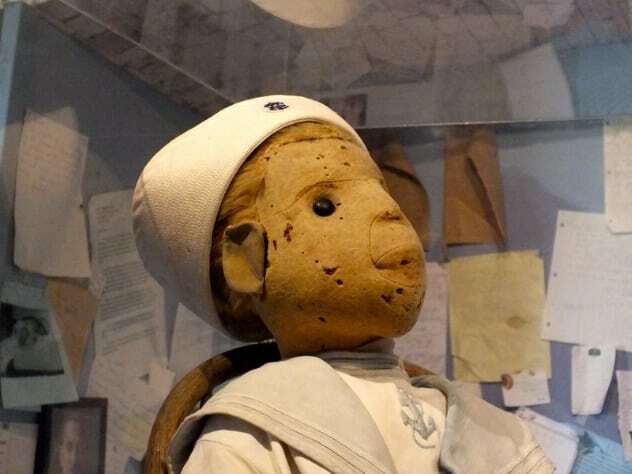 Robert is said to be the world’s most terrifying haunted doll. He has been accused of causing every unfortunate incident, from car accidents to broken bones to divorce. Some have even blamed him for losing their jobs. Robert was originally owned by artist Robert Eugene Otto, who received him as a birthday present from his grandfather when he was still a child. Otto kept Robert into adulthood. At one time, he displayed Robert at one of the windows of his house. However, schoolchildren soon noticed that Robert frequently appeared and disappeared from the window, which made them avoid Otto’s house. Myrtle Reuter became Robert’s new owner after she bought Otto’s house in 1974. Visitors to the house soon started complaining of strange footsteps and laughter. Some even claimed that Robert changed his countenance whenever someone spoke ill of Otto. Reuter herself complained that Robert walked around the house when no one was watching. In 1994, she donated Robert to Fort East Martello Museum in Key West, Florida.